Kelowna RCMP have confirmed they are investigating the alleged crime and released video of who they say is the suspect. 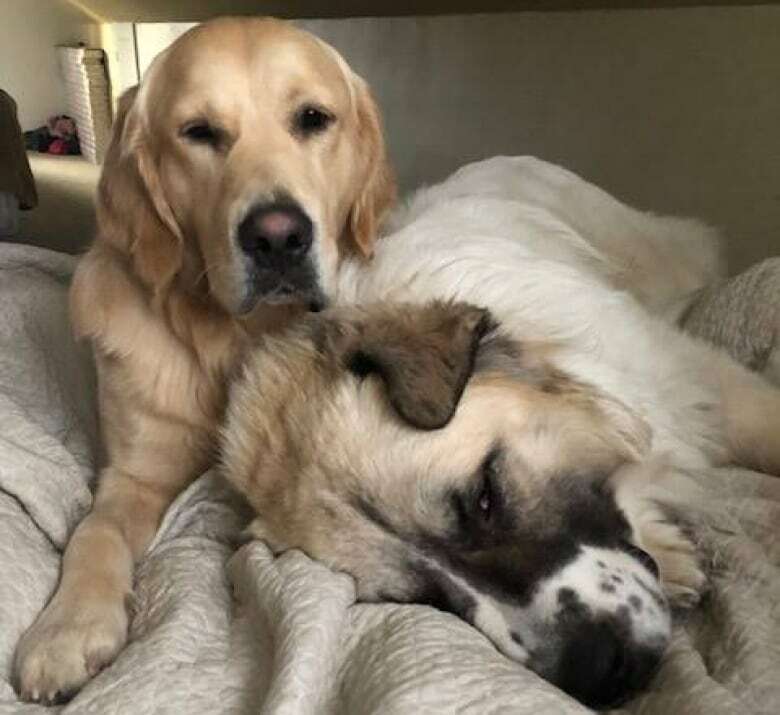 A family in Kelowna is desperate to find its beloved dog after a woman allegedly stole him from a backyard Saturday evening. On Monday, police released surveillance camera footage from a house on Taylor Crescent, just south of Kelowna General Hospital. 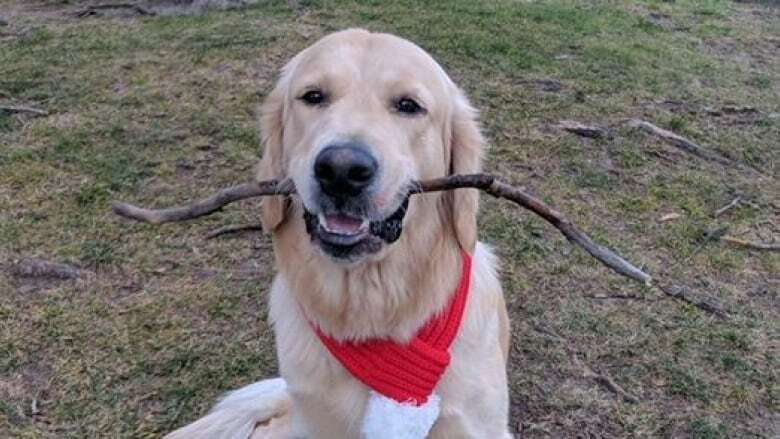 They say they believe the video shows a suspect facilitating the theft of Atlas, a one-and-a-half-year-old golden retriever. Chris Rowland, whose 34-year-old son Taylor Galt owns Atlas, says the entire family is pleading for answers to the dog's disappearance. "He is a very important part of our family, and we miss him dearly," Rowland told Radio West guest host Josh Pagé. "We miss this lovely dog so much and, it's hard to breathe just contemplating that any harm can come to him." She and her family say not knowing what's happened to their beloved pet is "torturous." Rowland described the alleged theft as extremely fast. Atlas was in the backyard of Taylor Galt's father, Ian Galt, with Taylor Galt's sister's dog, Jones, who she described as Atlas's "best mate." Taylor was out of town working in Fort St. John at the time and his father was watching his dog. Rowland explained, and the video suggests, that a woman opened Galt's heavy gate, possibly coaxed him out and then ran off with him. In a statement, Kelowna RCMP said its officers are looking for a white woman with blond hair who was wearing a dark jacket, dark pants and a white tuque at the time of the alleged crime. Police described her as "associated" with a white SUV. Rowland has posted photos of Atlas and her son on Facebook to try and spread the word about the dog. She says she is taking some heart in how widely that post has been shared — more than 60,000 times — and by the response from the community. RCMP spokesperson Jesse O'Donaghey said police are investigating the matter seriously but advised against jumping to any conclusions about the suspect's identity online. "The public should be cautious in the information that they're suggesting or alleging over social media," O'Donaghey said. "We're certainly not going to jump to our conclusions." He said that, at this point, police are treating the crime as random. There are no reports of similar crimes. He urged anyone with information on the crime to notify police. Rowland also is asking people to keep an eye out on online classified pages to see if a dog matching Atlas's description is listed for sale.